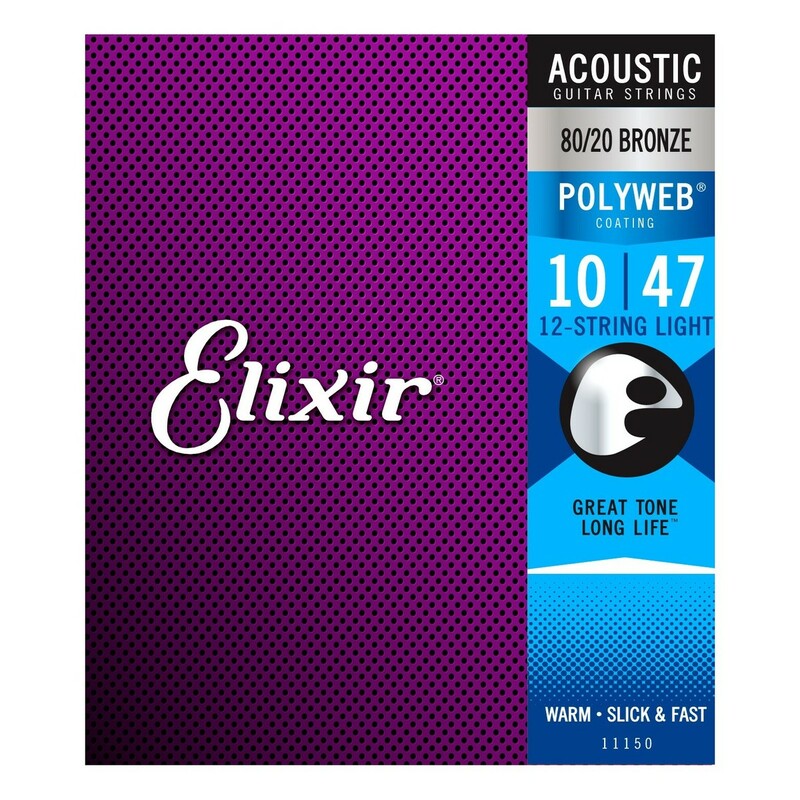 Acoustic Polyweb 12-String Light 10-47 - Elixir Strings for electric guitar give you great tone that lasts 3-5x longer. Elixir Strings deliver the presence, punch, and detail of the finest conventional strings while extending tone life and clean, new-string feel 3-5x longer. Last 3 to 5 times longer than uncoated strings. 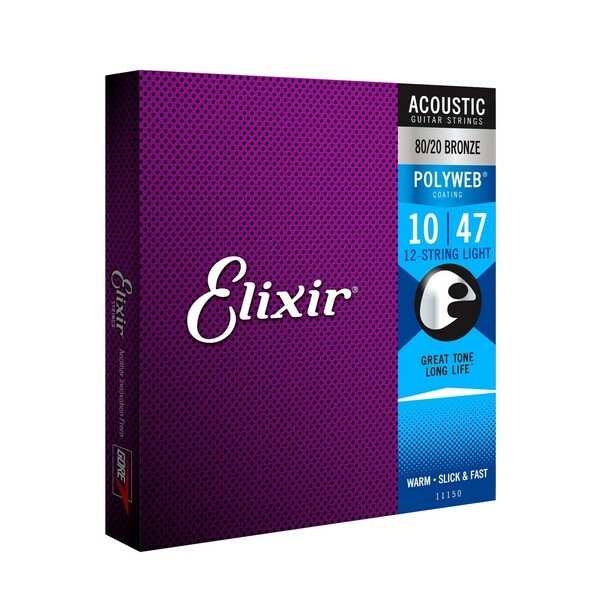 Elixir Polyweb wound strings are sheathed in a thin polymer coating that retains a natural feel while protecting the windings from the gunk that shortens their life and ruins tone. 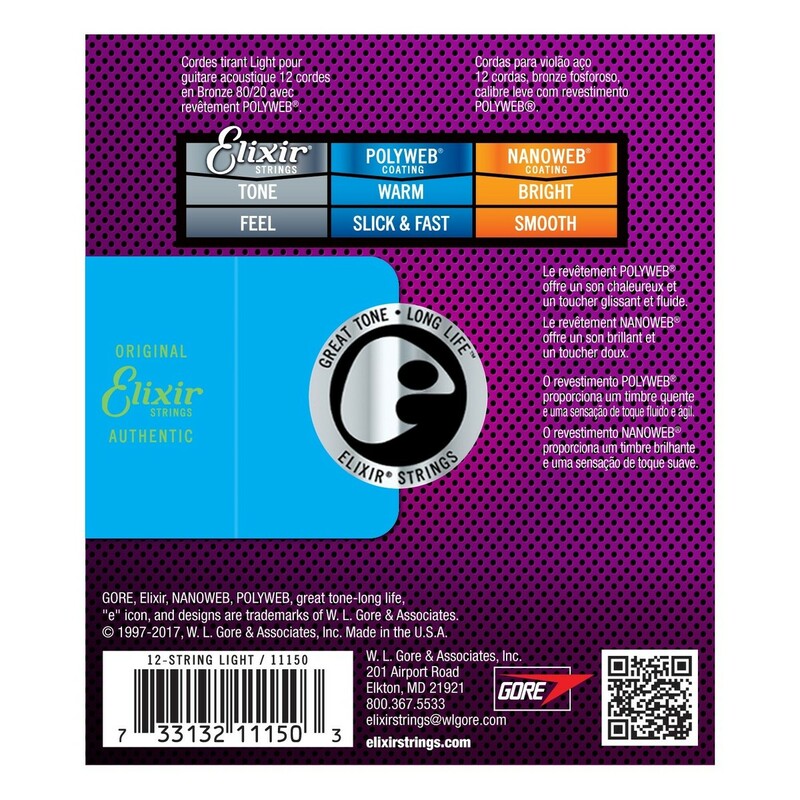 The coating gives these acoustic guitar strings a smoother feel and reduces finger squeaks.